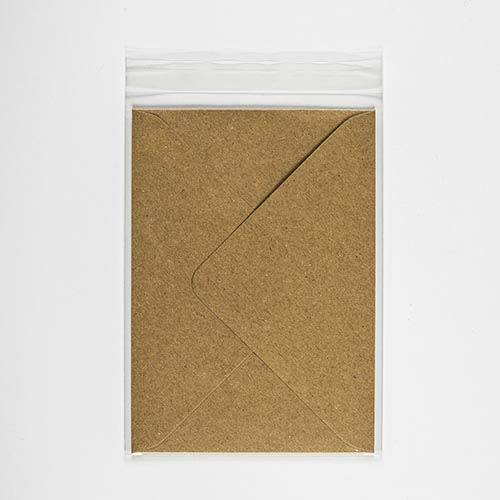 A Polypropylene Sleeve Bag with a fold over self adhesive flap of approx. 1" designed to fit our range of C6 114 x 162 mm envelopes plus a single card blank. 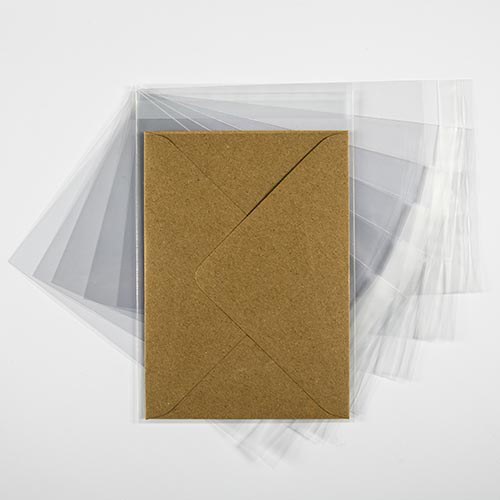 These clear film C6 cello bags give that finishing touch and avoid greeting card and envelope being damaged or soiled. Very qood quality. Actual Size: 120 x 162mm + 30mm Flap. The wrong sized order was sent to me - and a replacement order was shipped SUPER quickly and efficiently - I was very impressed! Good product. Good quality product and very efficient and fast service.